Welcome to Dance Academy of Boca Raton! 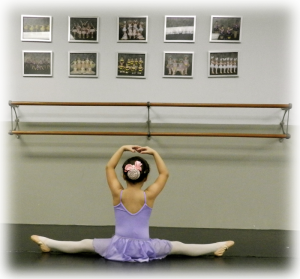 Dance Academy of Boca Raton was established in 1963, making it the oldest dance school in Boca Raton. Throughout the past 50 years our school has maintained an excellent reputation in dance training, artistry and performance. The academy was founded by Betty D’Avray in Boca Raton and its direction has passed down to artistic directors that continue the legacy of the arts. In 2011 Lisa Benavides took over the artistic direction of DABR. Her passion and commitment recognizes the need for a thriving academy that educates dancers to become proficient in this form of art. Dancing is one of our greatest cultural heritages and to enhance this, we strive to play role in our society by promoting our dancers to perform in our community and neighbor communities to enrich the lives of the youth, families and senior citizens who would enjoy this type of entertainment. In return our dancers build a sense of community evolvement and encounter a fulfilling experience with a sense of pride and accomplishment. We invite you to take this exciting journey with us and together discover new horizons in the world of creativity; driven by inspiration and powered by the passion of giving..
To provide students the atmosphere and high quality training to develop their unique talents through dancing and stage performance.